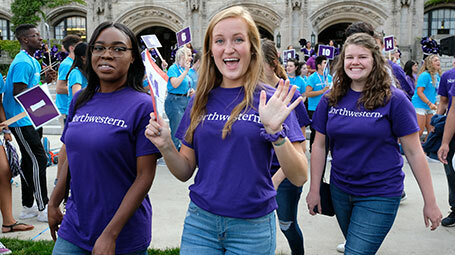 Northwestern welcomes students from around the world. Our population of 5,500 international students and scholars come from more than 80 countries around the world. They are engaged in scholarship at all levels, from undergraduate degree-seekers to PhD candidates. 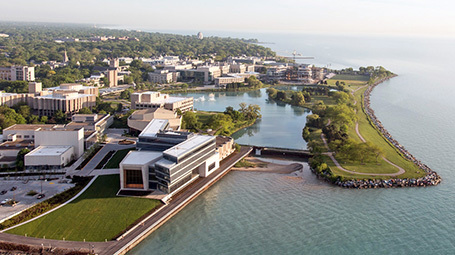 Each year, hundreds of international students choose Northwestern. In fact, one in 10 undergraduates from the class of 2020 is from outside of the US. 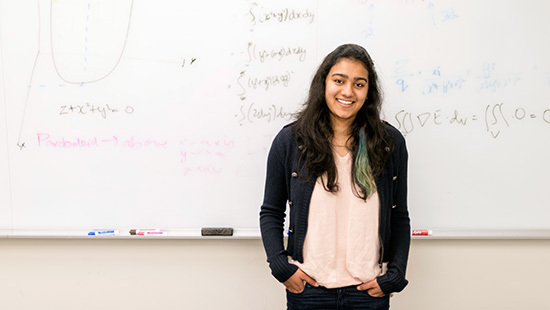 Explore some of the reasons that students choose Northwestern over other institutions. International students are included in every part of the Northwestern community. Many University offices provide guidance, assistance and events for international students. Start exploring their offerings and resources. Our Office of International Student and Scholar Services (OISS) supports students and scholars with visa assistance, help with tax requirements, employment and more. Don't miss OISS's International Student Orientation, a chance to meet other international students, learn about via requirements and get settled on campus. Other OISS events, including lectures, outings, and workshops, help students navigate American culture and take advantage of all the University and area have to offer. Multicultural Student Affairs (MSA) fosters cultural engagement and self-expression within Northwestern's diverse student population. In addition to sponsoring heritage celebrations and workshops, MSA connects students to one another through student groups. Explore dozens of undergraduate and graduate student groups that range in focus from professional training to political advocacy to performing arts. Global Wildcats are current international students who are excited to share their experiences with prospective international students. Connect with a Global Wildcat today. The Global Wildcats Coordinators are available to answer questions from prospective students via Skype. Global Wildcat Coordinators can connect you with a Northwestern student with similar backgrounds an interests. Why do international students take a Northwestern Direction? Hear from a current student on her journey. Use Northwestern's admissions websites to learn about application deadlines, financial aid and more. Or, attend an information session closer to you; admission officers travel around the world to meet with students and families at public information sessions, high schools and college fairs.